Unique two-in-one, smudge-resistant eraser lets user erase twice as many mistakes. Lead-optimizing technology for maximum write life from each lead. Strong #2 leads, perfect for standardized tests. Comfort grip for precise control. 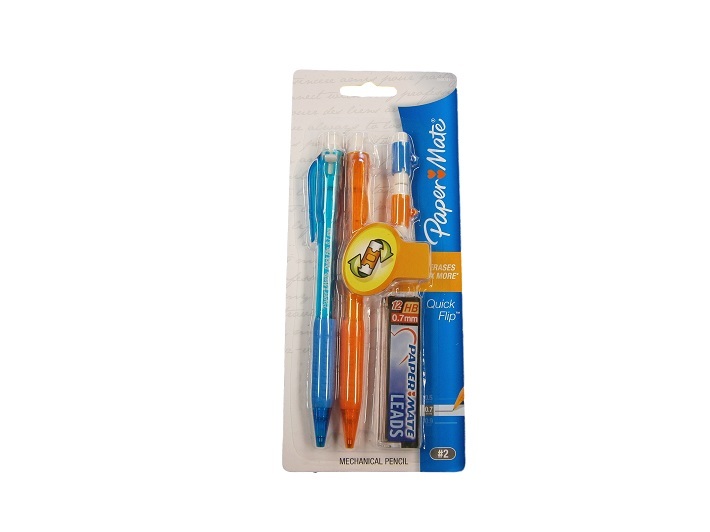 Comes with 2 mechanical pencils, 2 spare erasers, and lead refill.